In the food issue of the New York Times Magazine, out this weekend, writers answer various questions. Mine was “How does rattlesnake taste?” Obviously I roped Dana, Max, and Nick into finding out with me, and obviously we intended to follow (to the extent possible) my former teacher Harry Crews’ instructions. Tracking down a diamondback in New York City proved impossible, even after I took to Ask Metafilter. 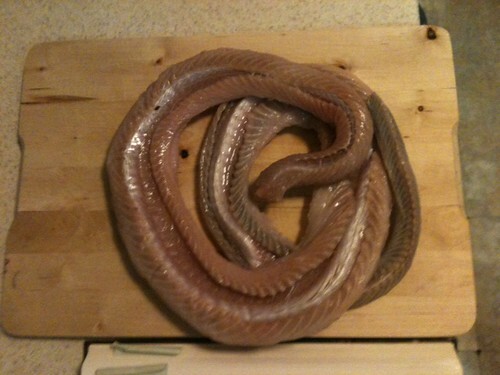 Unlike Crews’, our snake arrived in the mail, skinned and gutted, stripped of head and tail. 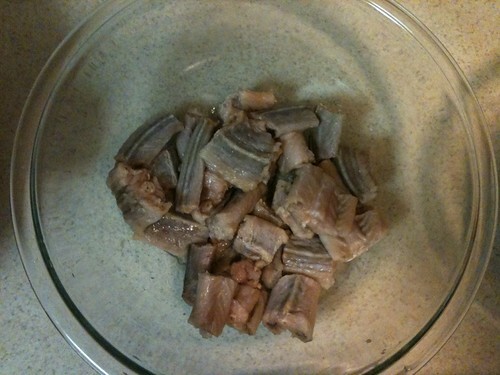 Coiled on the cutting-board, it looked like a garden hose made of filleted haddock. And as we took a cleaver to it, laboriously hacking it into one-inch slices, the spine was so thick and resistant to cutting, I found myself wondering if hedge clippers would be more effective, or at least less likely to result in someone losing a finger. Although Crews warned against overcooking, he didn’t provide concrete guidance on timing. He always said writers should be prepared to take work as short-order cooks, so perhaps we were supposed to know intuitively. We didn’t. 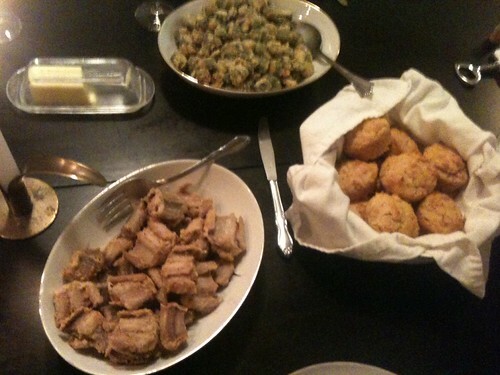 Within three minutes the first batch was dry and crunchy and essentially inedible, the breading shriveled against the bone, the lean meat evidently having been boiled completely away. On second try, the fritters (“steaks,” Crews calls them, but this native Texan just can’t use that term to encompass such stingy game) were juicier. The flesh was still hard to locate, though, trapped as it was in thick, slanted Vs to each side of the spiny vertebrae up top. As Dana says, “God bless Harry Crews (one of my favorite authors, and one of the many subjects Maud and I first bonded over when we met nearly nine years ago) but I’m not sure I’ll be taking any food or beverage recommendations from him in the future.” We ate the snake with cornbread and fried okra, and a salad for the veneer of health, and we followed it up with her amazing berry pie. You can read about the actual taste of the snake — and other ways to prepare it — over at the Times Magazine site. 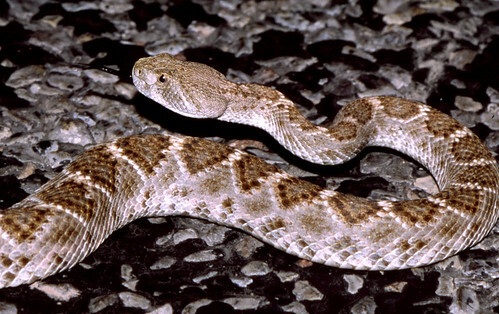 Western diamondback rattlesnake photo by Tom Spinker; all other photos by Maximus Clarke.